Feasting on Fruity Mooncakes and Dishes! The Tai Thong Group has always been one of leading pioneers in mooncakes and this year, Tai Thong is making another grand showcase of their traditional mooncakes and their modern mooncakes at the Tai Thong Mid-Autumn Indulgence Press Conference. 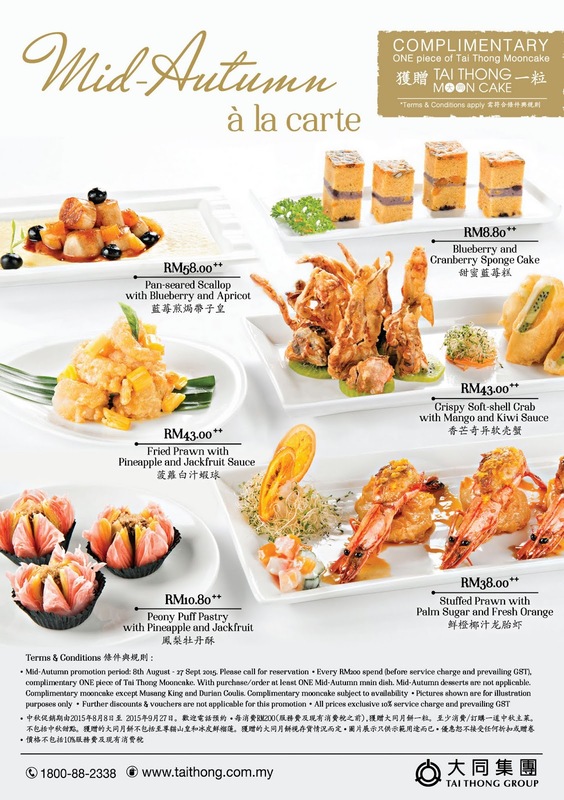 Besides mooncakes, Tai Thong is also presenting their Mid-Autumn Indulgence with a series of fruity inspired dishes in themed with their new mooncake flavours. 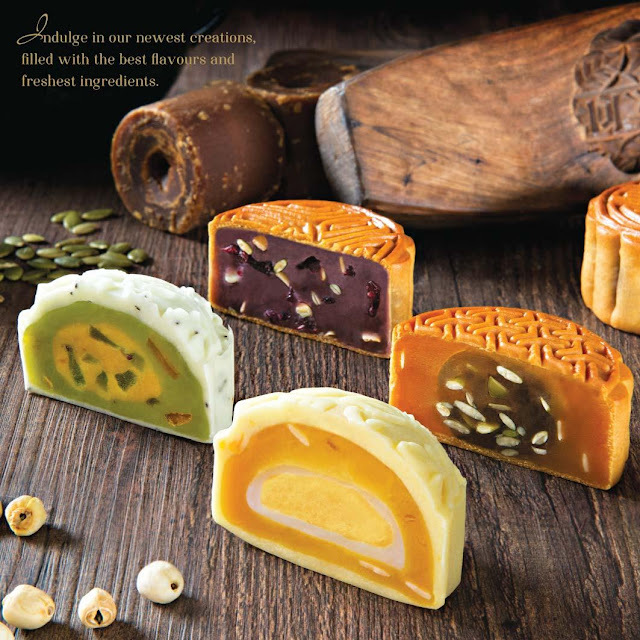 It’s certainly a gorgeous Autumn Indulgence of refreshing fruity mooncakes this year! 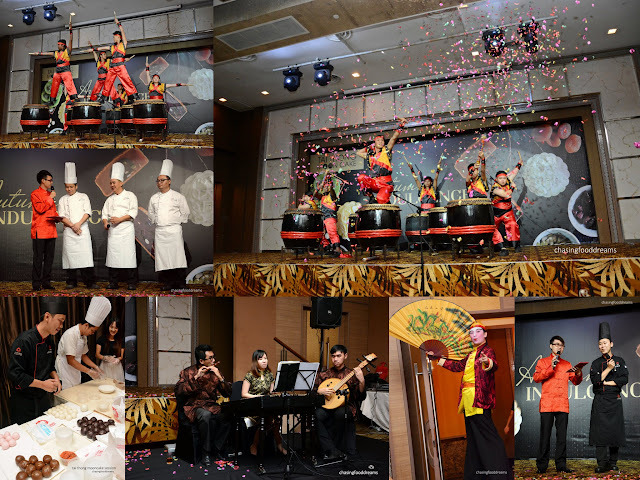 The festive season are brought to life that evening with Chinese classical musicians, DIY Mooncake corner, Chinese jester on stilts and a bold drum performance. After some speeches, Mooncake Master Chef Yiu Wing Keung proudly presents his latest four new Mooncake flavours of the year. A quick Masterclass in Mooncake making, Chef Yiu introduces his influences of fruits and nuts behind this year’s theme. While mooncakes tend to be really rich and heavy in flavours, he has incorporated fruits as his main theme of new flavours to add a fresh fruity note and nuttiness in mooncakes. The new flavours are also in perfect for those who prefer healthier options for the festive treats. 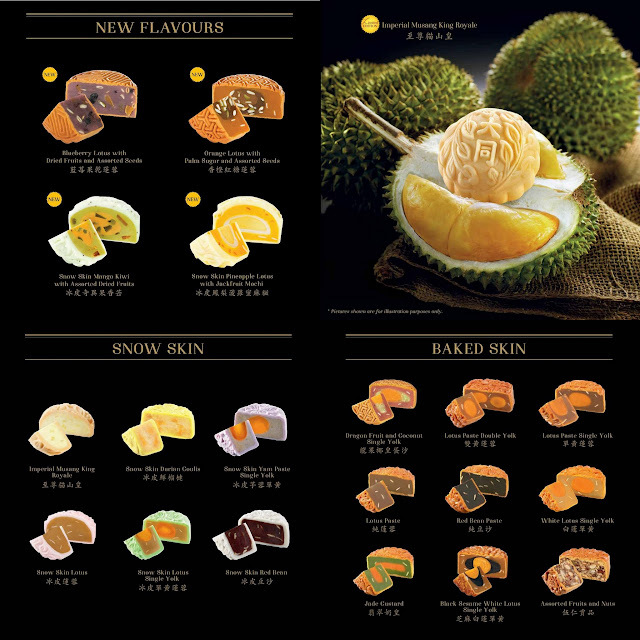 Tai Thong’s new fruity crafted creations has two Baked Blueberry Lotus with Dried Fruits & Assorted Seeds and Orange Lotus with Palm Sugar & Assorted Seed together with two Snow Skin Mango Kiwi with Assorted Dried Fruits and Snow Skin Pineapple Lotus with Jackfruit Mochi. Baked Blueberry Lotus with Dried Fruits & Assorted Seeds has sweet elements of blueberries and dried fruit bits marrying with nutty sweet notes of luscious lotus paste coupled with a delectable thin caramelized flavour of the baked skin. Elements of citrusy orange works wonders with lotus paste in Baked Orange Lotus with Palm Sugar & Assorted Seed. The fresh juicy notes of orange takes precedence in the flavours of this mooncake, making it lightly tangy and sweet while the subtle richness of the palm sugar gave the mooncake a luscious caramelized aroma. When mangoes and kiwis combine, one can be assured of a harmonious balance of fresh juicy sweetness and tangy notes. Both fruits are always a much beloved favorite so creating the Snow Skin Mango Kiwi with Assorted Dried Fruits was already a brilliant pairing of delectable flavours from the get go! The most unusual pairing of pineapple and jackfruit turned out to be another crowd pleaser. Who would have thought that pineapple would go so well with jackfruit? Each bite of the Snow Skin Pineapple Lotus with Jackfruit Mochi was a burst of juicy vibrant fresh pineapple flavours with the jackfruit aroma and taste leaving a delicious end note. 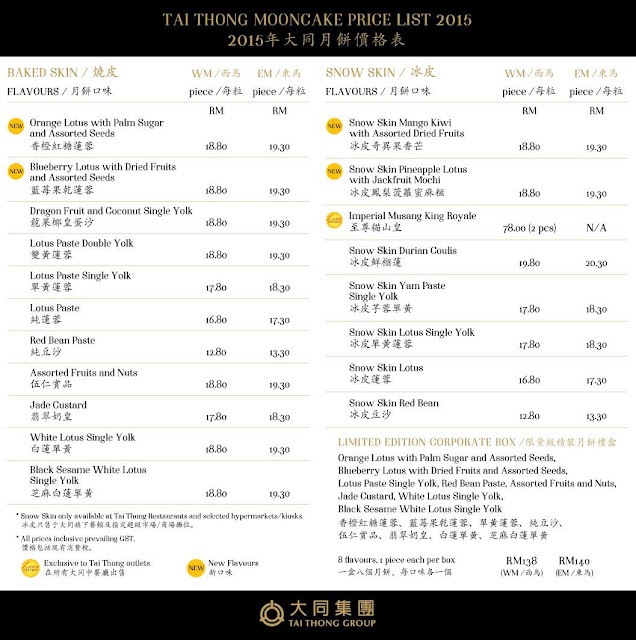 Tai Thong is also famous for their durian mooncakes and even has their own durian farm to ensure that their quality of durians take precedence in all their durian mooncakes. Best seller from time to time are the Imperial Musang King Royale, where the king of fruits held court in the lush distinctive flavours of the highly-prized Musang King! 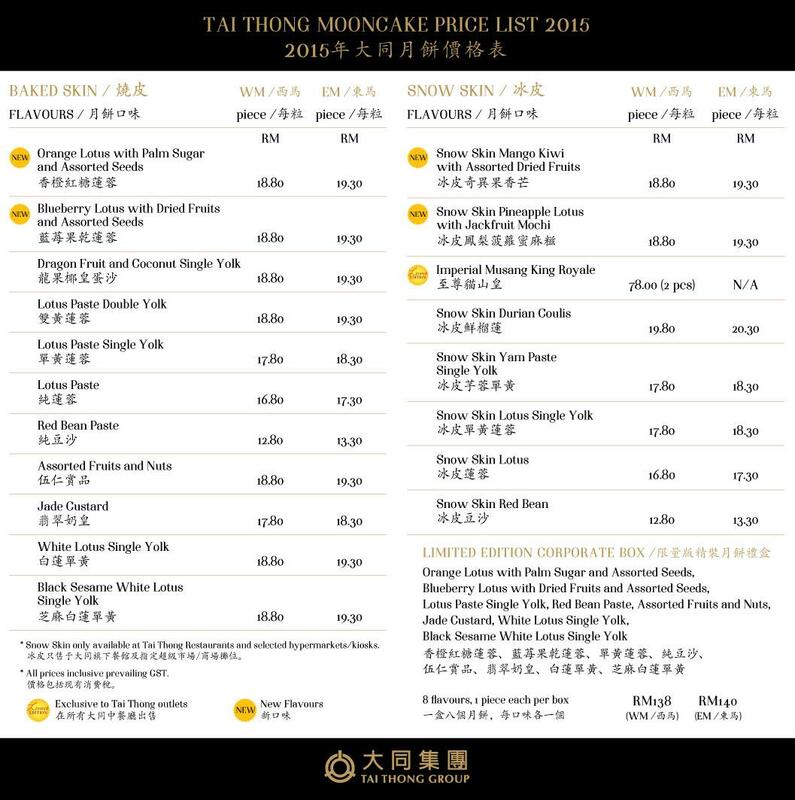 There are also plenty of other Tai Thong Mooncakes making a comeback this year. Check out their Baked Skin series and Snow Skin series at all their participating outlets and leading supermarkets. 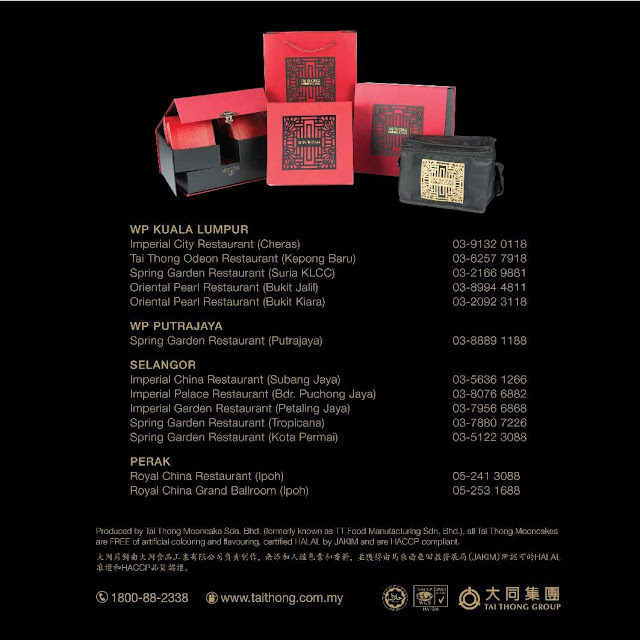 Tai Thong Mooncakes are HALAL certified by the Islamic Development Department of Malaysia (JAKIM), are HACCP compliant and free from artificial colourings and flavourings. In celebration of the Mid-Autumn festival, Tai Thong Group culinary team has also whipped up a fruit and nut inspired Special Mid-Autumn Menu available from 8 August to 27 September, 2015. Enjoy lots of seafood paired with fresh fruits and nuts this season with family, friends or business associates at all Tai Thong restuarants for a memorable and delicious gathering of good food with great company! Echoing the luscious flavours of their new fruity mooncake, the culinary team whips up a delectable Crispy Soft Shell Crab with Mango & Kiwi Sauce. Lightly battered and crispy golden soft shell crab pieces are a delicious platform when paired with sweet creamy fruit sauces made with ripe luscious mangoes and tangy kiwis. There were also crispy rolls of mango and kiwi plus fresh slices of kiwis to jazz up the soft shell crabs! A dish that was so pretty to look at with vibrant colors had everyone salivating at the Pan Seared Scallops with Blueberries & Apricots. Sweet nuggets of fresh scallops lightly cooked and dressed with a delightful blueberry and apricot sauce on lettuce leaves makes a light starter at any meal sweet. Crustaceans rocks with fruits! Stuffed Prawn with Palm Sugar & Fresh Orange and Fried Prawn with Pineapple & Jackfruit Sauce had everyone enjoying these crustaceans with gusto. Expect sweetness with lots of fruity elements in the dishes. Savoring dishes like these won’t leave one with heaviness as the fruity notes are rather refreshing and delicate. If you need your carb for the meal, the do try the Spicy Pineapple Fried Rice with Vegetarian Floss. A unique twist to our much-beloved fried rice, this one has lots of savory and spicy notes with cubes of fresh sweet pineapples and savory floss. End your meal with more sweetness as Tai Thong Dim Sum Chef offers his take on two fruity desserts of Peony Puff Pastry with Pineapple & Jackfruit and Blueberry & Cranberry Sponge Cake. 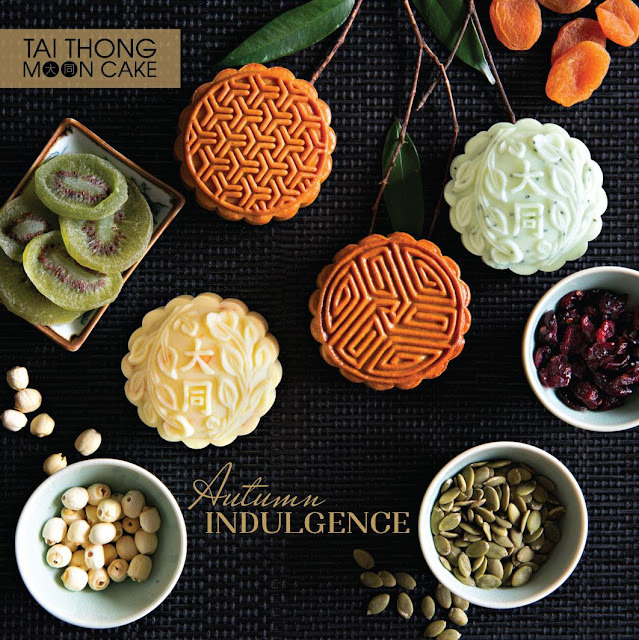 Taking classics and turning them into modern fruity creative desserts, Tai Thong has truly gone all out to make this Mid-Autumn Festive a sweet and fruit one!